On May 19, Buddhists in Malaysia will commemorate three major life events of Gautama Buddha – his birthday, enlightenment and passing. Called Vesak Day, devotees of Buddha meditate in temples, recite prayers and offer alms to Buddhist monks. There will also be a Buddha parade, with spectators admiring the decorative floats. 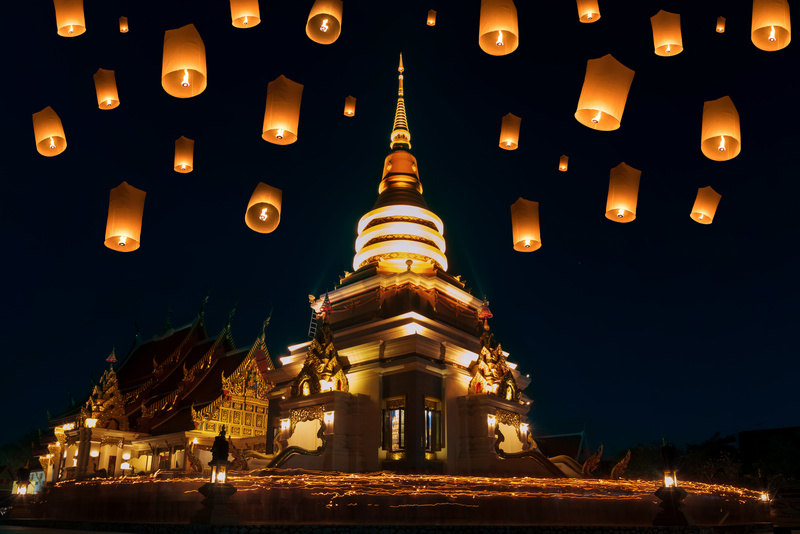 Your CLUB WYNDHAM® ASIA membership gives you a choice of two excellent accommodation options while you stay and take part in the Vesak Day this year! Conveniently close to Kuala Lumpur City Centre, the hotel offers modern apartments with a kitchenette, dining and living areas and a balcony. Relax in the outdoor infinity pool, work up a sweat at the fitness centre, or enjoy Peranakan dishes at the onsite restaurant. Enjoy the comforts of spacious rooms with relaxing river and ocean views, separate living areas and complimentary Wi-Fi at Ramada Plaza by Wyndham Melaka. The hotel features two swimming pools, a fully equipped fitness centre and four dining options. 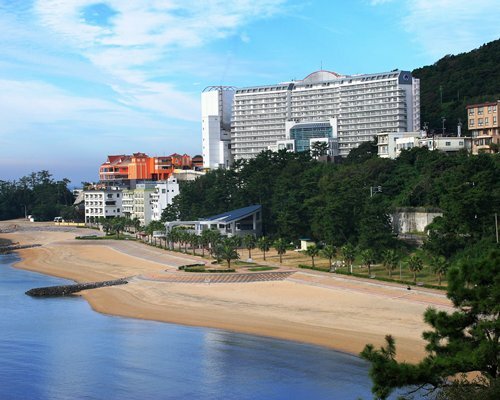 As a Club Wyndham Asia® Member you have the opportunity to travel to a range of great holiday destinations staying at Associate Resorts, an additional benefit offered by the Club Developer, Wyndham Vacation Resorts Asia Pacific (HK) Limited. Resort, room facilities and standards may vary. Some properties may have a minimum night stay. Resorts may be modified or removed at any time without notice. Experience the natural beauty of all seasons, as well as the rich cultural and historical roots during your next vacation in Japan. Let us introduce the lesser known but must-visit places to enrich your itinerary. Get ready for a multi-faceted experience in Aichi-ken! Hunt for the mythical Shachihoko, a creature with a tiger’s head and a carp’s body, at the famous Nagoya castle. Explore the largest planetarium in the world- Nagoya City Science Museum and experience the speed of Maglev train in a simulator at the Nagoya Railway Museum. For picture-perfect moments, hop on a ferry to Sakushima Island, which has possibly the most artistic coastline in Japan, featuring contemporary art figures and constructions along the beautiful shore. When night comes by, take in the amazing aerial view of Nagoya City from the Sky Promenade of Midland Square. It is easy to fill your day with joy and laughter at Mie-Ken! It features one of the largest amusement parks in Japan – Nagashima. For the daring souls, hop onto the Steel Dragon 2000 roller coaster and be treated to a whirlwind ride that runs through the entire park. There are also water parks within the premises and a giant ferris wheel that will give you a bird’s eye view of the whole park. Swing by the integrated mall to have your meals and a quick shopping spree. When the night comes, head over to Nabano No Sato, another theme park nearby that has one of Japan’s finest LED light show to end your day on a high note. This island is the perfect place for a slow-paced holiday that allows you to take the time to walk through nature, culture and history. First stop, head to the Izanagi Shrine, the oldest shrine in the country and if you are lucky, you may even catch the traditional Shinto ceremonies. Next stop, take a history walk at the majestic Sumoto Castle built since 1500s. Nature lovers should not miss the beautiful floral scenery at the Thousand Flower Garden with the Osaka Bay as the backdrop. 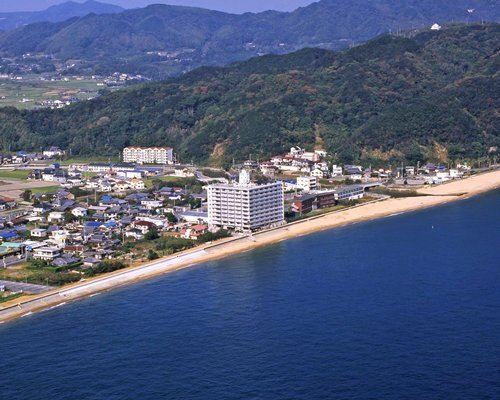 End your day relaxing in an onsen at Matsuho-no-sata while overseeing the short lightshow of the Akashi Kaikyo Bridge that occurs every hour from dusk onwards. 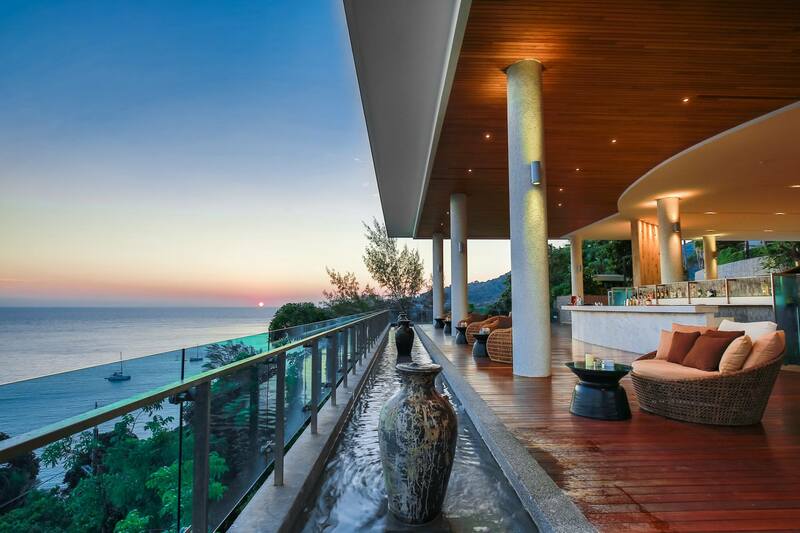 As the Songkran Festival approaches (April 13 to 15), now is the ideal time to book a getaway – or perhaps a longer holiday – in Thailand. Songkran is a water festival that marks the traditional Thai New Year. Songkran means to ‘move’ or ‘change place’. This is the time when families visit temples for prayer and offering. It is also a period when locals sprinkle water to crowds and Buddha statues parading the streets. The throwing of water is believed to cleanse the body and bring good fortune for the year. Your CLUB WYNDHAM ASIA membership gives you excellent accommodation options while you stay and celebrate the Songkran Festival this year! Book now! 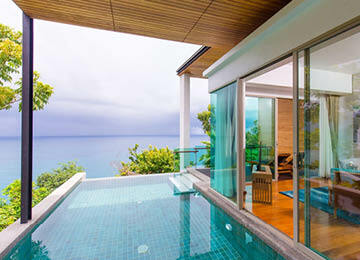 Located on a high cliff overlooking the Andaman Sea, Wyndham Grand Kalim Bay is a luxurious five-star resort that boasts private pool villas with six or nine-metre infinity pools. Take advantage of the resort’s upscale amenities, which include a full-service spa, state-of-the-art fitness centre and three dining areas. This resort offers guests breathtaking views of the ocean and hinterland, positioned away from the hustle and bustle yet an easy bus ride from town. After soaking up the sun and exploring seaside market stalls, retreat to Wyndham Sea Pearl Resort Phuket and relax at your room with an outdoor Jacuzzi and private balcony. Located in the bustling capital, this hotel is a stone’s throw away from Bangkok’s shopping and entertainment districts. It boasts five onsite restaurants and three bars. The hotel offers a free shuttle boat service, which will connect you to the train station and the city’s Skytrain network. Joined the holiday club for just over a year but I’m already very satisfied with the accommodation we had for the several trips we took. 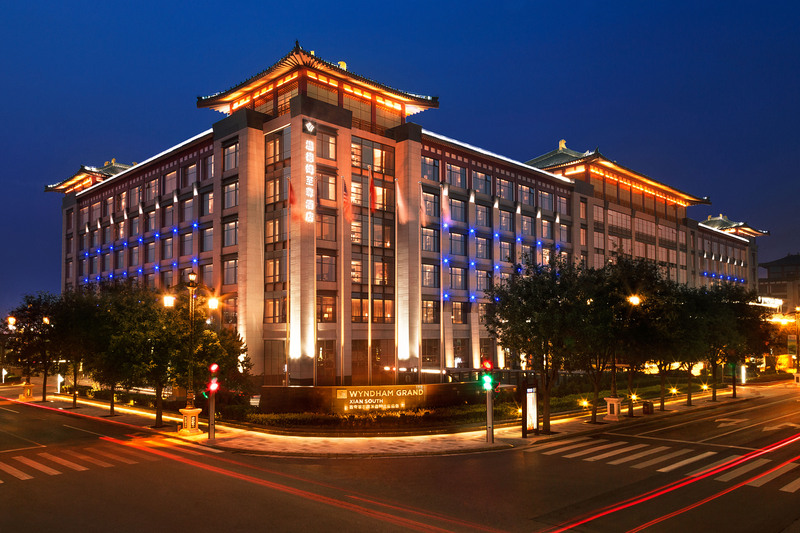 The Wyndham Hotel in Xi’an, China, has a fantastic location, and is convenient for business and travel. The rooms are especially spacious and comfortable. In the Ramada Plaza at Menam Riverside, Bangkok, the view from the riverside suite was amazing, and Asiatique, the modern Bangkok night market, is just a 5 minute walk from here. Even though the reservation did not include breakfast, we could get authentic local cuisine in the alley just across the street. The city atmosphere was also very good. 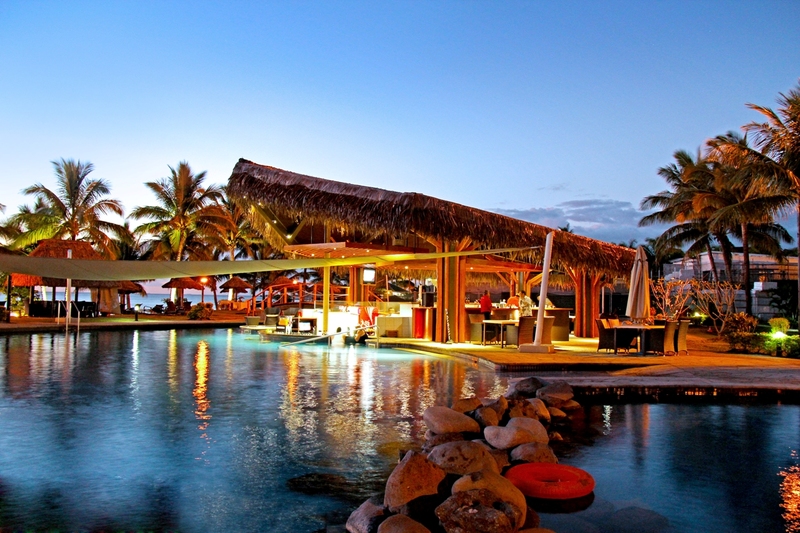 From the membership brochure, we saw that Wyndham Hotel in Fiji has a super-high exchange value, so we decided to give it a try. As expected, Fiji is really a holiday paradise. The hotel has enough private beaches and all kinds of entertainment to keep us busy indoors for several days. The standard of the fire dance performance on weekends were even better than those in the port business district. The kitchen in the suite was very well-equipped. The dining area was also large enough. In the supermarket, we bought local seafood and steak from neighboring New Zealand and Australia, and even rice! Every morning, the mixed Chinese and Western breakfast in the garden was just perfect. We are already looking forward to our trip to New Zealand next year. Also wanted to comment separately on Wyndham Kalim Bay Hotel in Phuket. As a members-only hotel, there are places where members will really feel that it’s value-for-money. As this hotel was just completed recently, the facilities are relatively new and more humanized. The best thing is that each suite has its own individual infinity pool. It’s really suitable for a family to go wild in the water. The hotel is located in the middle of a hill, so the view from the whole hotel was good. The seascape from the restaurant was even more stunning. with them were really nice. I hope the holidays will get better and better, and I will recommend more friends to join the program. Boasting an incredible location in the center of Qujiang New District near the Dayan Pagoda and Xi’an Qujiang International Convention and Exhibition Center, the Wyndham Grand Xian South offers luxurious amenities in Shaanxi’s historic capital city. Effortlessly fusing traditional architectural influences with contemporary styling, our hotel features world-class services, a chic lobby lounge, mouth-watering dining options, and 5,000-square-meters of chic meeting and event space. 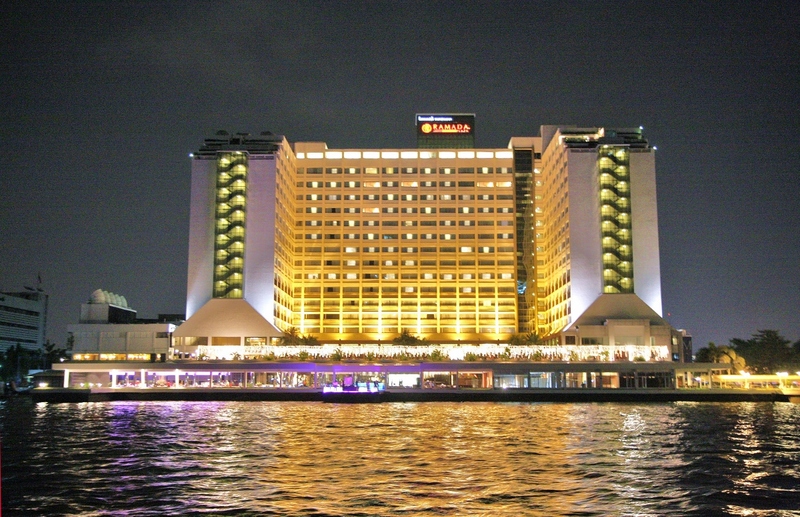 Overlooking the Chao Phraya River, this five-star luxury hotel offers a little slice of serenity in bustling Bangkok. 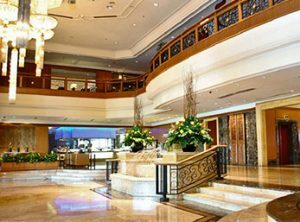 The award-winning Ramada Plaza Bangkok Menam Riverside is the perfect base to explore all of the Thai capital’s fascinating attractions. The hotel runs a free shuttle boat service to the nearby train station, connecting you to the city’s Skytrain network. 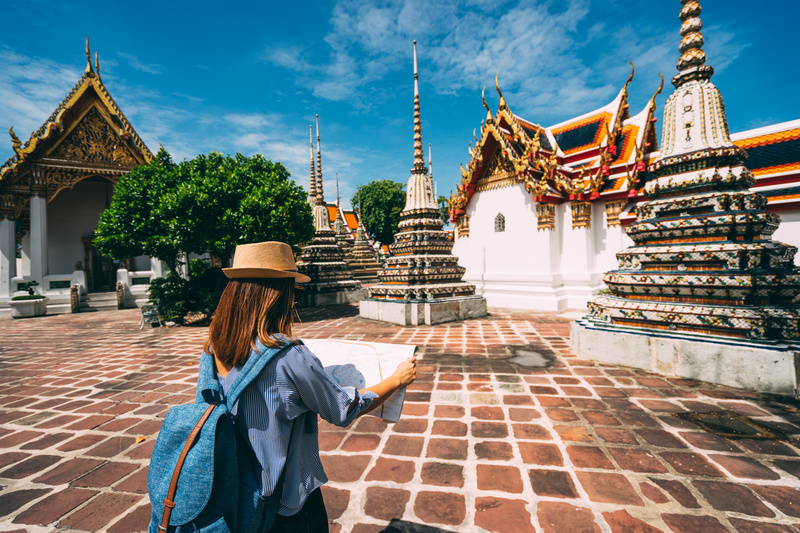 Cultural attractions including the Grand Palace and the Temple of Dawn are nearby, as well as Asia’s largest night bazaar, located just a short walk from the hotel. Dreaming of a tropical paradise for your next holiday? 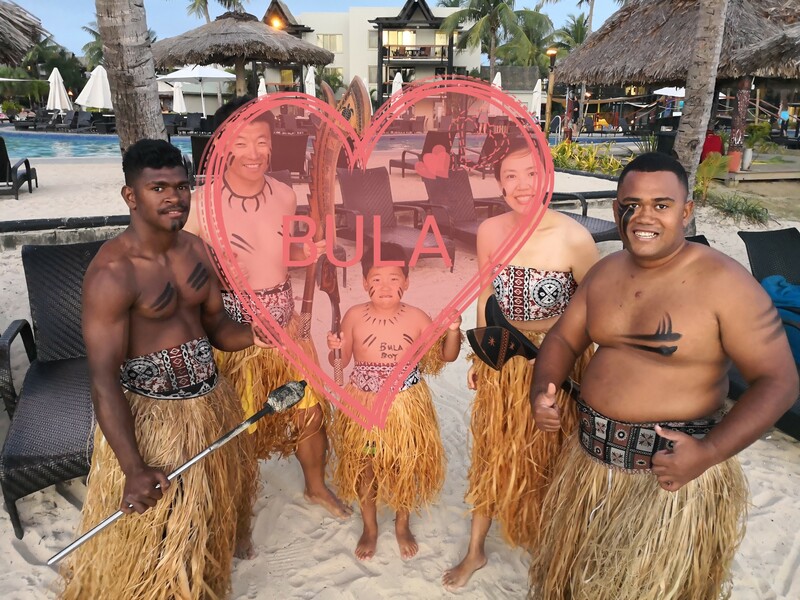 Fiji is an exotic destination filled with culture, beautiful beaches, clear turquoise waters and the friendliest people in the world. 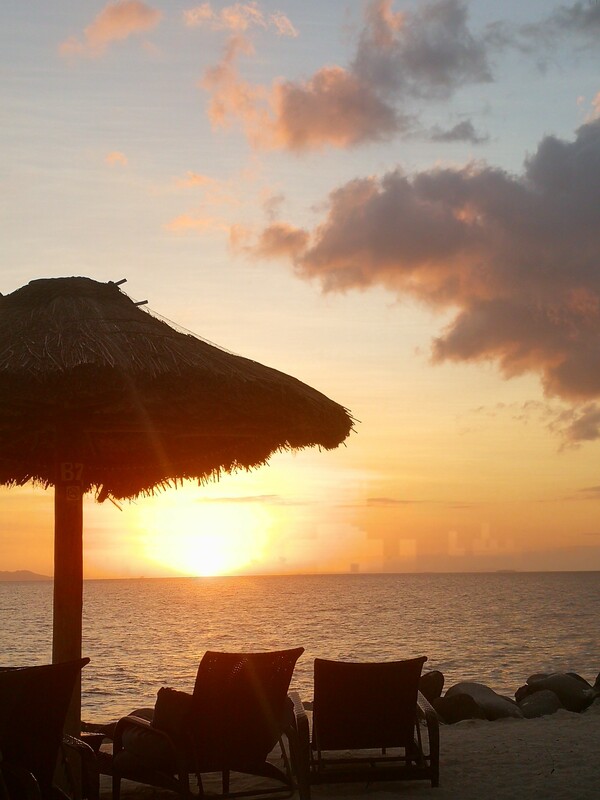 Located on the beachfront is Wyndham Vacation Resorts Asia Pacific Denarau Island, an oasis ideal for sipping cocktails, enjoying authentic Fijian culture and letting life’s pressures float away. Wyndham Resort Denarau Island is one of the South Pacific Clubs’ most popular resorts for a family holiday or romantic getaway. It’s easy to relax and enjoy Fiji’s laid-back pace with the resort’s spacious accommodation including one, two and three-bedroom apartments. 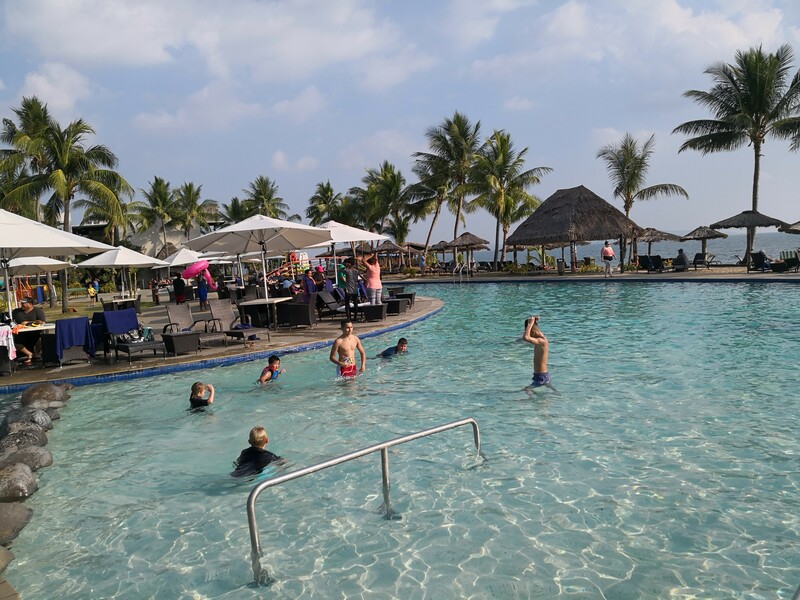 The resort also boasts outstanding resort facilities including a large lagoon style swimming pool, outdoor spa, swim-up pool bar with wet and dry seating, kids’ club, direct beach access and a Mexican themed restaurant. seclusion valued by discerning travellers. 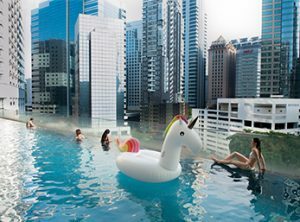 As a Club Wyndham Asia® Member you have the opportunity to travel to a range of great holiday destinations staying at Affiliate Resorts, an additional benefit offered by the Club Developer, Wyndham Vacation Resorts Asia Pacific (HK) Limited. A city of contrasts with a surprise around every bend, Bangkok epitomises organised chaos. Steeped in Buddhist traditions, it is an intoxicating jumble of old and new, east and west, elegant and gauche, which makes it one of the most exciting and eclectic destinations on the planet. The hardest decision is where to begin. Should you marvel at golden temples, catch a tuk tuk to Chinatown or glide through floating markets? Should you spend your time browsing through luxury malls or haggle for a bargain at a bustling market? From aromatic dishes cooked by street hawkers, to fine dining at romantic rooftop restaurants, the food in Bangkok is a definite highlight. CLUB WYNDHAM ASIA partners with the Agricultural Bank of China, one of the “Top Four” banks in the People’s Republic of China, to provide a unique vacation experience to Kins International travel Cardholders. 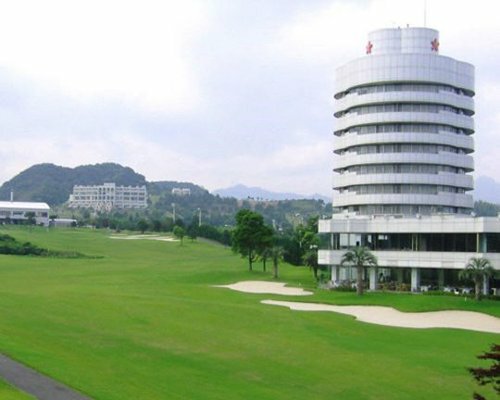 CLUB WYNDHAM ASIA partners with SPH Golf Club to provide a unique vacation experience to SPH Golf Card members. Having joined as member in April 2017, we were bent on making the most of the privileged CWA membership. We had thoroughly enjoyed Wyndham hospitality at Wyndham Sea Pearl Resort Phuket and Wyndham Grand Phuket Kalim Bay earlier. Halong Bay came up as our destination to commemorate the 2nd birthday of our grandchildren. Both me and wife had stopped over in Hanoi before en route from Europe to our homeland in Malaysia but we didn’t get to see much of Hanoi then given time constraint. 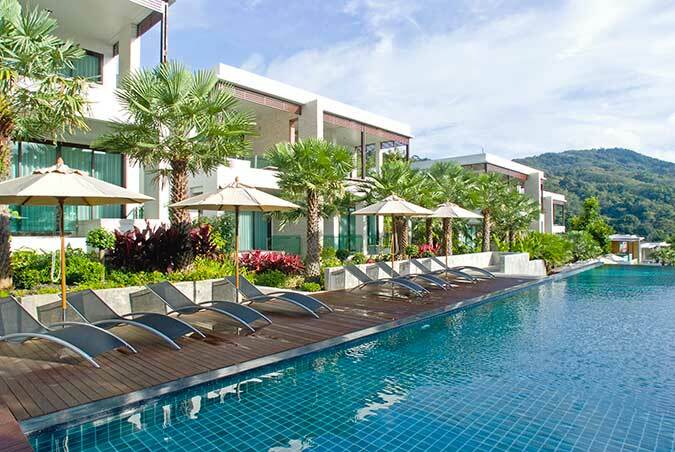 PHUKET, THAILAND (15 September 2017) – As a valued Club Wyndham Asia Member, we are excited to introduce you to the latest rooms available for you to book at Wyndham Grand Phuket Kalim Bay! To enrol in a course you must be registered with your 7 Digit Club Wyndham Asia Member Number.